s***, which one is Lance, again? Lance is 6 feet tall with a lean build and he weighs 168 pounds. 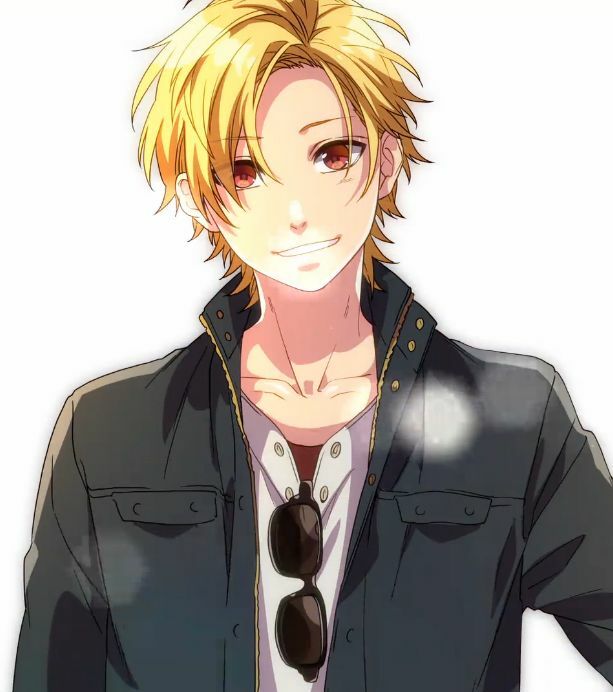 He has dark red eyes and smooth blonde hair. His main outfit consists of sunglasses, a black jacket with an under shirt and torn jeans. Under his clothes, he has slight muscles. As the only son of Kyle Campton, billionaire and CEO of a major electronics company, Lance is a rich boy. As a child, he went to a private dueling school. Lance soon became the top duelist in the school. Because of this, his looks, and his gentleman-like personality, most of the girls in school had a crush on him. But this also had a negative effect, because it made almost all of the boys in school hate him. Day after day, one of the boys would challenge Lance to a duel and everytime Lance would win. After a while, Lance got the guys of the school to like him by helping them with their dueling skills and giving them advice on how to get girls to notice them. To sum it all up, Lance was the perfect star student of the dueling school. After he graduated dueling school, Lance pursued a dueling career as well as a modeling career and he became successful in both. Now, Lance decided to take a break from his careers to go on a vacation to Destiny City. When he made it to the hotel he was going to be staying in, Lance found a Numerix card on his hotel bed. Having grow up in the Campton household, Lance was taught by his parents to be nice, friendly and gentleman-like, especially around females. He followed this advice and its how he has acted all his life. Because of his personality, Lance’s friends jokingly give him the nickname ‘Lancelot’ after the famous fictional knight. He is not afraid of anything and will rush into danger to save or help someone. Lance hates people who are really mean or just plain evil and he makes it his mission to take them down. When dueling, Lance will complement his opponent on moves they make and sometimes will give them advice if he can tell their struggling with the duel. After a duel, Lance will tell his opponent that it was a good duel, even if it wasn’t. This right here is Lance. Yeah, just be reasonable or I'll take over. It's the third Standby Phase of the Duel, so most simple Spells should be OK. Don't bother with Equip Spells though. Right, sure. Just don't go overboard, and to be safe, PM me a list of the cards included. You did not include them in your summary of the turn, Jellis. Your summary says the following. LP:4000Cards in hand:0Cards on the field:Bladed Steel Dragon FIRE - Rank 4 - Machine/Xyz/Effect - 2200/20002 Level 4 Dragon-Type monstersThis monster is also always treated as Dragon-Type. This monster gains 400 ATK and DEF for every Xyz Material attached to this card. If this monster destroys your opponent's monster by battle, attach the destroyed monster to this card as Xyz Material. Once per turn, you can detach 2 Xyz Materials from this card to negate the effect of 1 face-up monster your opponent controls. Steel Dragon UpgradesContinuous SpellOnce per turn: You can Tribute 1 Dragon-Type monster you control; Special Summon 1 "Steel Dragon" monster from your hand. You can only use the effect of "Steel Dragon Upgrades" once per turn.Face-DownsSteel Dragon Reverse Continuous Trap You can only activate this card if you control a face-up "Steel Dragon" monster, except "Steel Dragon Frame". Once per turn, you can Special Summon 1 FIRE monster from your Graveyard. You can destroy this face-up card to Special Summon 1 "Steel Dragon" Fusion monster from your Extra Deck, using monsters you control as Fusion Materials. If this card is destroyed, except by its own effect: Special Summon 1 "Steel Dragon" Synchro monster from your Extra Deck, but its ATK becomes 0 until the End Phase of this turn.Rank-Up-Magic: Steel Dragon's ForceQuick-Play Spell Activate only if you control 2 or more face-up "Steel Dragon" monsters. Target 1 Rank 6 or lower Xyz monster you control: Xyz Summon 1 Xyz monster with the same Attribute that is 3 of fewer Ranks higher than that target from your Extra Deck, using the target monster as Xyz Material (Xyz Materials on the target monster become Xyz Material on the new monster). This counts as Xyz Summon. And you used Phraxei and Steel Dragon to make your Xyz in the first place. You're making this very difficult for me. I will edit my post, but you need to be providing accurate information from here on out, OK? Oh sh*t I F*cked up. In my summery, I forgot to add my burning heart, and technicaly, Phraxei was still Xyz material. I'll fix my stuff. technicaly, Phraxei was still Xyz material. I'm sorry, that means what exactly? Hey, can we get all the player characters listed in the OP? It is kinda a hassle trying to find everyone's apps (linked is mine). Yeah, I'll get to that when I can; things are hectic on my end. Misc:People often think he's a cosplayer going to some convention for something. He calls his Duel Runner "The Chiller" and has had it painted sold black with icicle decals on the sides. somehow his parents have no idea about his strange habits or about his "secret identity"
He stands at an average 5’8”, though that’s because he bends over often (due to his profession). His full height is 5’10”. He weighs in at 160 lbs. He often sticks to wearing “traditional” clothing, though he has a few more “casual” outfits consisting of buttoned down shirts and khakis. 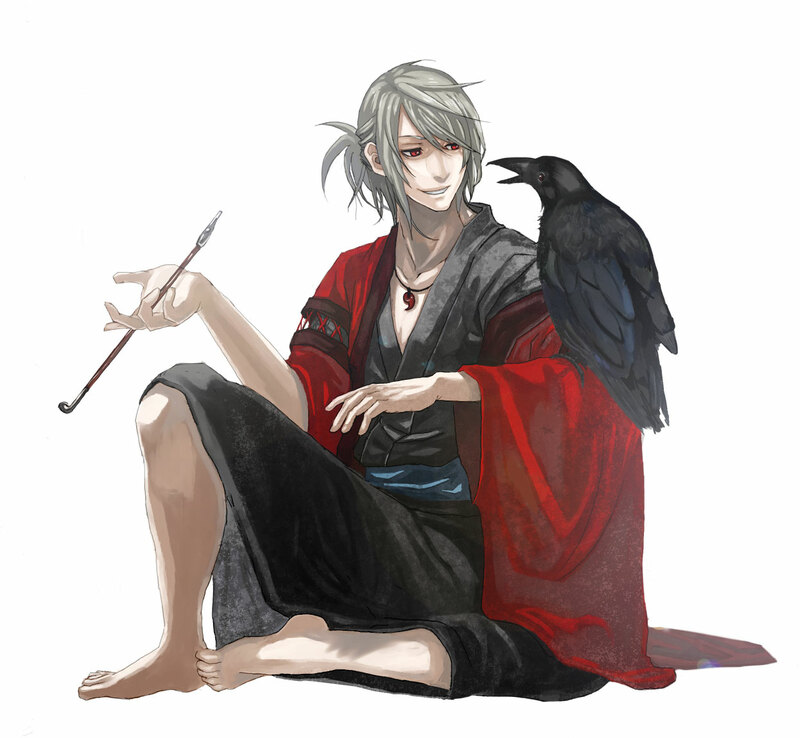 Kenji is the definition of “traditional sage”. He is filled with platitudes for the younger generation with an air that comes from years of experience. He often appears fairly rational and enjoys a good laugh. Appears to be quite serene and accepting of his age. Funnily enough, Kenji describes himself as “young-at-heart”. Though he may not be as excitable as he was when he was younger, he would very much like to experience new things. He tries to stay curious and likes to read. One can easily tell when Kenji is enjoying himself as his eyes tend to light up. All this said, Kenji does have a negative side to himself. He often gets upset at the mention of his late wife. He is also very protective of his only son (and his son’s family) as well as his own honor, often getting angry at even the lightest slight of either. Kenji’s family moved from Japan to Destiny City with the intent of going to America. However, because of the events of WW2, and the fact that Destiny City remained neutral in the conflicts, his family decided to remain there. The city was where Kenji was born. While in the city, Kenji’s family stayed in a neighborhood where a lot of other Japanese families resided. They tried to keep their traditions alive, but the next generation (Kenji’s), adopted Destiny City’s customs and the craze that was sweeping the city: dueling. Kenji was caught up with this craze, but as his folks were poor immigrants, he was given in to his studies more than the game that was just a “fad”. Despite this, Kenji did love a good duel and when he wasn’t doing schoolwork, he would often go and duel with his friends. When he graduated high school, he went to an arts college in America, wanting to hone his skills with his hands. While at college, he met his wife-to-be and married her when they graduated. Kenji had a single son. Many years passed… Eventually, when Kenji’s son was in college, he received a letter from his mother saying that his father was ill. Kenji and his wife decided to move to Destiny City so they could take care of Kenji’s parents. However, things were worse than they had appeared. 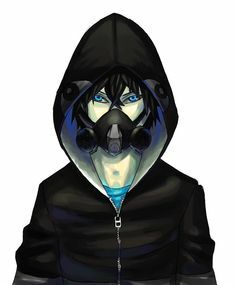 The illness that Kenji’s father had contracted was in its late stage and was extremely contagious, later being revealed to be most often contracted by immigrants to Destiny City and almost never by native-born citizens. Needless to say, this illness claimed the life of both of Kenji’s parents and his wife, all of whom ended up dying within a year of each other. Unable to bear staying in Destiny City, yet unable to leave the place where his family lay, Kenji was in limbo. He eventually came to grips with the unfortunate turn of events and ultimately decided to stay in Destiny City, hoping to translate his emotion into his favorite medium of art: pottery and clay sculpting. Surprisingly, his works became immediately popular and he currently manages a small shop of handmade clay objects, many of which are duel monster figurines. However, recently, his shop has been broken into multiple times. Feeling slighted, deck in hand, Kenji hopes to find the culprits behind the break-ins and show them what happens when they mess with a Tsusawa. Kenji found his Numerix among the remains of a Dogu statuette. Deck: Clayborne Archetype http://forum.yugiohc...bornes-written/ . Numerix 020: Keydra. Misc: Kenji keeps his Deck in a display of Pot of Greed behind the counter of his shop. Keeps a magatama with him given to him by his mother when he was young. Appearance: 5'9", but very slender, almost to the point of looking physically fragile. Possesses nearly waist-length brown hair, and very pale skin. Dresses almost exclusively in loose, floaty blue dresses that only make her long limbs look thinner than they already are. 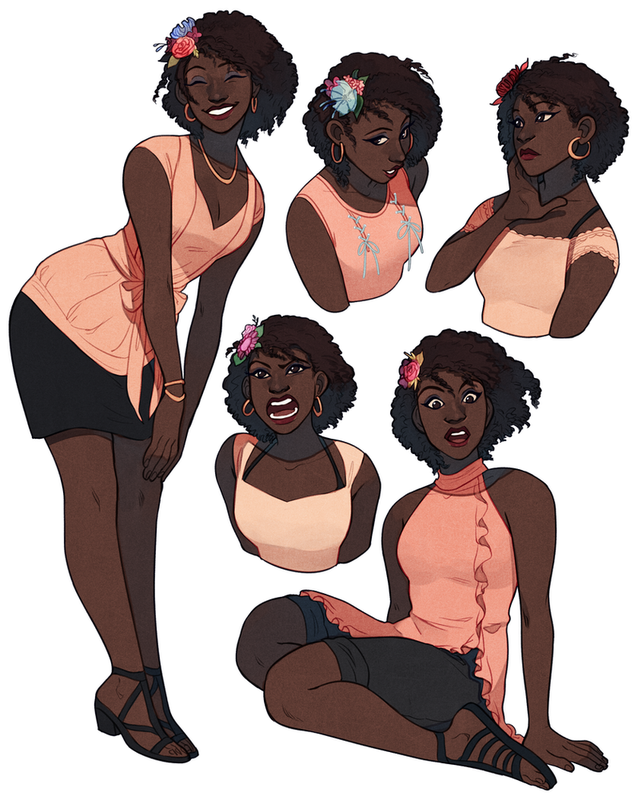 Personality: Generally rather defeatist and depressive, Crystal has little general drive to do much. She's extremely pessimistic, and is quick to come up with reasons people would fail at something. Still, she's pretty easy to rope into doing things because of how little drive she has, and enough of her old endlessly kind spirit remains that she's essentially the world's saddest living doormat. Crystal used to be one of the most absolutely upbeat people in all of Destiny City, always ready to help others, always on standby to cheer someone else up. She was born here, and most people knew that if they ever needed anything they could just ask Crystal and she'd be there in moments. She was a cheerful Duelist, a kind soul, and always willing to put her Yuki Onna monsters to work to make an elegant stand, regardless of whether she won or lost. Not too long after her sixteenth birthday, Crystal's immune system practically imploded on itself, and a standard cold was more than enough to leave her bedridden. She spent most of her late teens and early twenties in and out of hospital beds, trying to get her body restored so that she could go back out and see her friends and family without worrying that she'd get sick by touching them. Modern medical science indeed provided a solution, in the form of immunosupplements that allowed her to freely return home, even if the illnesses assaulting her body kept her frail . . . but her bright personality was finally broken with a two-part attack, as her doctors warned her that she'd never truly recover (in fact, she'd basically only bought herself a few years), and the friends she was so eager to return to forgot her entirely. Her love of life shattered, and everything she used to enjoy seemed to taunt her by never being enough to shake off this depression encroaching on her soul. She basically just sorta . . . found one of the scattered Numerix cards, and has incorporated it into her Deck's basic style. Deck: Crystal runs the "Yuki Onna" archetype primarily, but occasionally techs in "Shivergami" monsters to access some higher Levels/Ranks while still taking advantage of WATER support. She also runs "Mistress of Ice", and some S/T support that helps her low-stat WATER monsters function, like "Revitalization Spring", Mystic Blizzard", and "Storm Surge", plus some LP recovery in the form of the "Wishes" Continuous Trap series. She owns "Numerix-043: Frozen Construct", and hasn't had to stretch too hard to accommodate its presence, especially given its status as a WATER monster. ●Despite her depressive nature, she never intentionally forgets her medication, and hasn't even considered suicide. ●In Action Duels, she tries to bring out "Yuki Onna Sumire, Deity of Snow" as soon as possible, because she's too frail to get around as quick as is necessary, and Sumire can fly. ●Knows how to ride a Duel Runner, and is pretty good at it, but doesn't own one. Welp, here you go then. EDIT: Huh, that's weird. It didn't get everyone. I'll put another post w/ the rest. Allie stands at around 5’5” and 140 pounds, putting her on the smaller side of things. 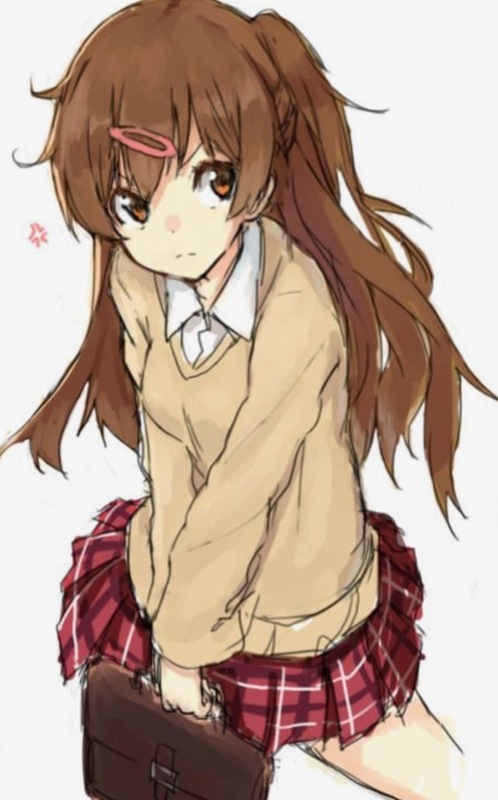 She prefers to wear simple dresses and shirt/skirt combos, with a flower hair clip to complete the outfit. She has several clips that she cycles through. [/background] The embodiment of chill, Allie never seems to be stressed out. She’s always relaxed, friendly, and cheerful, with a kind of calm confidence that everything will work itself out in the end. Of course, that’s not to say she’s lazy, necessarily; Allie is no stranger to putting in hard work. She’s just efficient, is all. Beneath that innocuous exterior, however, lurks a ruthless personality. Allie will do whatever she feels is necessary to succeed, including betraying her friends in especially drastic circumstances. If you get in her way, she will remove you with a smile and a wave. This extends to her dueling as well; Space Cruisers are renowned for being a very aggressive archetype, and Allie’s deck is no exception. Of course, this doesn’t mean that she’s a bad person. Just efficient. [/background] Right from the start, Allie basically had it made. Her parents were two of the biggest business executives in the United States, which gave her access to just about anything she wanted. However, her parents did try not to spoil her too much, so Allie grew up in a comparatively modest, upper-middle-class fashion, at least when it came to housing. With education, however, they spared no expense: Allie attended some of the top schools in the country, and had tutors to cover what little the schools did not. And all through that time, her parents carefully groomed her to become the perfect heir to their business empire. Allie was not a fan of this, as her parents failed to consider that maybe, she would rather not have to deal with the high-stress position of running a massive company. Unfortunately, her parents disregarded Allie’s discomfort and continued to press her into the role, all the way until college, where she was sent to study business in Destiny City. Allie yearns for the time when she can be truly independent from her parents, but that time is a few years off yet. When she left for college, Allie’s parents gave her a prototype deck as a going-away present (though the cards in it have since become widely available). Gradually, Allie customized it until she felt the deck was unique, but one card she never even considered removing; the one she had found tucked in at the back, which she was certain had not been placed there by her parents: Numerix-010: Initial Zeppelin. [background=transparent]Deck:[/background] Space Cruisers, mostly, though Allie does employ some odd techs like Miracle Mirror and Multiple Purpose Machine. (“Surprise is the key to victory.”) She also has an incredibly varied Extra Deck, owing to her monsters’ stellar level-changing abilities. Alexa has a petite build, and stands at a mere four feet and seven inches, and weighs eighty-two pounds. Her waist-long hair is always unruly and unkept, as she never bothers to deal with it. Alexa's entire wardrobe consists of patched up, hand-me-down clothing from her older sisters. Only a couple of sweaters, a few t-shirts, two skirts, and one pair of jeans; all with some sort of stitching or patch mark. Alexa is a very shy person, and hates sticking out. She has a quiet demeanor; she doesn't really speak up or opposes anything or anyone. She just goes with the flow, and hope everything turns out well. While never really wanting to in the first place, she doesn't interact with people, and prefers to stay huddled in a corner by herself. While she doesn't always show it, Alexa can be somewhat sensitive and irritable. Especially about her height. Even if one mentions how short she is, she'll stomp off in anger and frustration. She doesn't really get over things quickly, and will most likely stay upset or dwell on said thing for days at a time. Alexa was born and raised in a small town in Ohio. She is the youngest of seven siblings, and had always felt overshadowed by them all. Almost everything that she did, at least one of her siblings could do much better. She tries to join the local track team? She's constantly tripping and falling while her sister sprints to the finish line. Alexa tries to join the school band? Turns out her brother has perfect pitch and a great ear. Alexa enters a dueling tournament? While she looses in the first round, her brother gets second place. As a result, Alexa simply stopped trying to stand out, and closed herself in. Recently, Alexa has been sent off to Destiny City to live with her Aunt and Uncle. Her parents believed that it would be good for her to get away from her siblings for a while. Alexa didn't have a say in it, as she hates moving to new places. 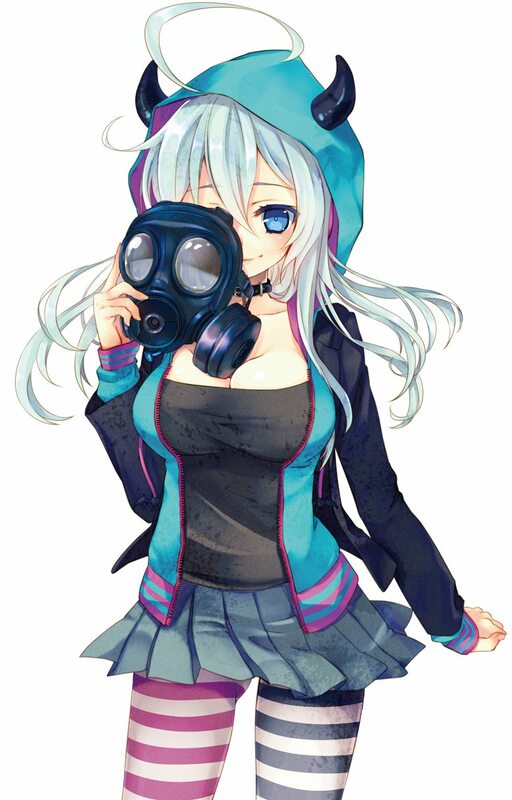 But hen she arrived at Destiny City, Alexa's slight annoyance at the matter soon turned into curiosity when she heard about the popular "Numerix" cards. She hoped that she could get her hands on one. That wish came true when she found "Numerix-027: Mastery Wizard" in the parking lot of a small bookstore. Extremely happy with her new prize, she headed home to incorporate it into her own deck, not knowing the power that the card contained. Deck: Grade, along with AGM Generics such as Platune Violinfantry and Axis-Diffuse CORE for Fusion and Synchro support, a wide assortment of Xyz Monsters (such as Kitsune Maiden of Endless Nights), and some support Spells such as Xyz Arc and Kuchikamizake. Alexa has a horrible stuttering problem, and it gets worse the more nervous she is. Alexa loves to draw, and is actually quite good at it. She always carries a backpack or purse full of sketchbooks and art supplies. She's secretly afraid of Turbo Duels, as she's always afraid of a crash whenever the duelists turn a corner. Believe it or not, she's obsessed with video games, and goes by the username of "theZephyr". Ken is 5 foot 8 and weighs 160 pounds. Aside from his usual combination of his blue jacket, jeans and shirt, he also wears a casual outfit consisting of sweatpants and a red t-shirt. Personality: Ken is very excitable and often tries to get to know new people. He's also very reckless, and isn't afraid to rush into danger or say what's on his mind. Due to this, you can convince him to do something pretty easily. Background: Ken grew up in a well-off home, but was never really interested in the game of Duel Monsters until he became a teenager. He quickly picked up the game and decided that he wanted to become a Turbo Duelist, eventually saving up enough money to buy an old Duel Runner. He wasn't too good at riding it, but was determined to keep practicing. One day, after having a practice Turbo Duel with one of his buddies, he found a mysterious Numerix card on the side of the road..
* He likes working on machines. "Hold my food. I've got this." Kin - true to her name - has bright golden eyes. 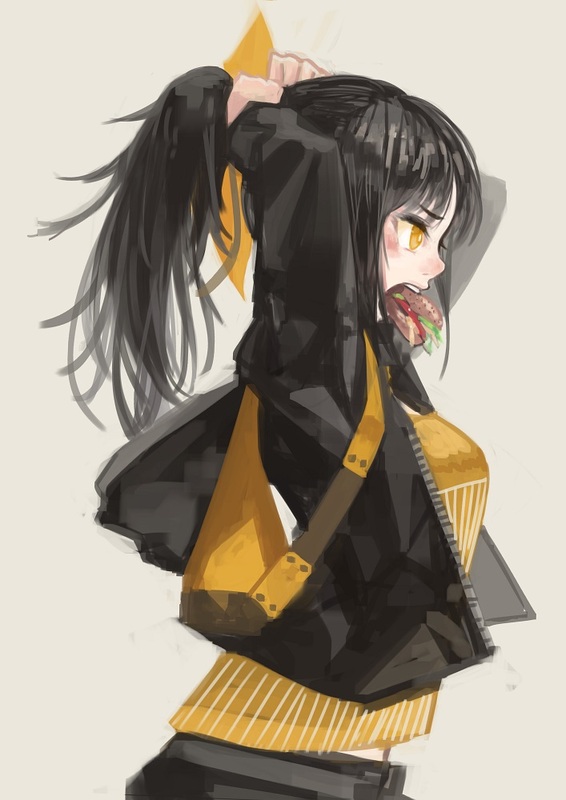 Directly in contrast with this eye color, she has long black hair often tied back into a ponytail, framing a face with rough features that often has some sort of food being shoved into the mouth. Her fashion sense is a very jackets and cargo pants one, with tank tops underneath the former. This type of outfit can make it hard to tell at a glance that Kin has muscle. Lots of muscle. One would think she's a regular at the gym if they got a glance of her biceps. Hell, if she cut her hair and bandaged her breasts down into flatness, she could pass off for a football player. This relatively manly shape isn't her favorite physical trait (it's her hair; she likes its fluffy texture), but she'd be lying if she said she'd have it any other way. When one imagines elegance and class, Kin is probably one of the last people that comes to mind. She's selfish, gluttonous, greedy, violent, tactless, and one of the most bullheaded people you'll likely come across. What she can't settle with words, she settles with brute force. Given she was never much for negotiating, of course, this means Kin settles more or less everything with raw strength and intimidation instead of asking nicely. This paints a negative image of her, which makes people less keen on negotiating with an already-poor negotiator, forcing her to use force even more, and creating an endless loop that causes Kin to come off as a violent thug who shoves others around to get her way. And honestly, that image isn't inaccurate, though it does only portrays Kin as she is at a glance. Kin, for all her flaws, says it like it is and doesn't talk about things in a roundabout manner. She doesn't believe in disguising a person's words or nature, and strictly adheres to the ideal that people should be true to who they are. She makes no effort to improve on her flaws because they're what makes her her, and she sees no reason that she should have to change herself to make others feel better. They may not like it, but Kin just doesn't give a damn. In the same vein, she doesn't think others should bother changing themselves either; everyone is unique for a reason, and each individual should treasure their sense of self. Kin has no interest in fake people and blatant acts, and expects others to tell her things just as frankly as she would for them. She's pretty perceptive about facades too, having seen and even put up plenty of them in the past. There's also some good in her, though it might be hard to see it under her relentless nature. Kin isn't afraid to get her hands dirty for a just cause, and in particular believes strong people like herself should be tasked with protecting weak folk who can't do it themselves, though also believes the weak should at least try to stand up for themselves. She knows it's hypocritical for her, who gets by almost exclusively by pushing around those weaker than her, but she doesn't really bother trying to justify her own case. She isn't really fond of trying to do anything major with words, for that matter, since she speaks straight from the heart and will likely say the wrong thing. She can't stand making mistakes, so she tries to avoid situations where she'd be prone to them. Another thing Kin doesn't like in particular is her family roots. Kin doesn't want to be anything like her birth parentss, so being compared to them or using her old name to get any type of leverage anywhere is a huge no-no to her. Kin wants to be recognized for her, and to that end, generally doesn't share her full story. On the flip side, it means Kin isn't one to generalize people. Every good tree bears some bad apples, and the opposite is also true, so Kin would rather judge a person based on the individual instead of the groups they associate with. Speaking of groups, Kin doesn't like to associate with any of them. At the core, Kin - even if she won't admit it - is scared of people. They have remarkable capacities for cruelty, and she's already dealt with that song and dance in the past. She doesn't want to be subject to whatever awful things a person may or may not have in mind for her, so - like a cornered beast - Kin opts to make them fear her before she has to fear them. It's not easy to convince her someone is harmless either, so it can take a lot more than a burger and some fries for Kin to finally be at ease in someone's presence. Crowds are just awful for her, and she can't stand being the center of attention for a large number of people. Catch her during those rare moments where she isn't constantly on guard, however, and Kin's a pretty simple girl. She just wants the same thing anyone else wants, and that's to be happy in life. And for her, that means not having to be afraid of anyone or anything, even if she has to raise copious amounts of hell to make it happen. If she could, she'd be happy to retire to a life where she lives alone away from civilization, getting her food from animals she hunts and staying in shape with a rigorous exercise schedule. The Ueyonabaru family. Rich. Prestigious. And very, very particular about their public image so that they can stay that way. The family's elevated status is a direct result of Kin's mother, Ueyonabaru Masumi - a saint and super-successful businesswoman in the eyes of the public - putting in hard work and pulling strings to put herself on top of the world. Her husband, Ueyonabaru Takeo, is a rich philanthropist. And the daughter, Kin, is an aspiring and highly talented young athlete. They are a happy family that's been blessed in life, and wants to help bless others in return. Such was the picture Masumi wanted everyone to have when they thought of the Ueyonabaru family. Where cameras dare not peek, however, the reality is far less idyllic. Masumi - a narcissist and sociopath - only cared about seeming like the perfect woman in the public eye, and she wasn't concerned with the kinds of lengths she'd have to go to in order to make it happen. She'd only ever married Takeo for his money and because he was a giant pushover, letting Masumi easily give him whatever kind of script she wanted, and he'd read it off with a wavering smile on his face. Kin, although greatly athletic, had no interest in sports; it was a road she was forced down so that Masumi could have her perfect talented daughter. From a young age, it was clear that Kin was far less of a pushover than her father, and as a direct result, her family relations were strained at best. Ironically, Kin's tendency to settle matters with force was a trait she inherited from the person she despises most. A recurring cycle back home was that of Kin letting it slip that nothing in the Ueyonabaru family was even remotely as happy as her parents liked to pretend, then receive an overly harsh - abusive even - punishment as a means to make her stop. Talk about the father being little more than a trophy pet? No food for five days. Discuss the daughter's lack of real interest in the sports her mother forced her to pursue? Say hello to Masumi's good friend, the whip. Finally snap at age fifteen and attack Masumi? Quietly and discreetly get disowned and thrown onto the streets of Destiny City - a good two days of driving from home - so that Masumi can play it all off as her having run away. Kin isn't really sure what became of her parents after seeing their car ditch her in Destiny City, nor does she care. She'd be perfectly happy if Takeo grew a spine and Masumi's "perfect" life crumbled as a result, but she didn't have long to let that spiteful feeling stir before a cold realization. A crazy b**** though she may have been, Masumi (read: Takeo's family fortune) had - up to that point - provided Kin with everything. House, food, bed, even the clothes on her back. For the first time, she was well and truly alone. For a week or two, she tried to be a good girl and make ends meet by the closest things she could find to legitimate means, but it just wasn't working. One winter afternoon three months after arriving in Destiny City, Kin - cold and starving - had been met with true kindness for the first time. A kindly old man had found her, and him asking why she was in that state led to a conversation about family, loss, and humans helping one another. That old man was named Kazato Atsushi, retired pro duelist from a generation since passed, whose wife had recently died. Atsushi's wife had always wanted children, but was infertile, while Atsushi himself had always been apprehensive about adopting, especially as they got old. With his wife dead, Atsushi felt guilty for never fulfilling her wish, and was just on his way to find out more about adoption when he'd conveniently stumbled upon a girl who had been thrown away by her birth family for not letting them oppress her into living a false life. Her spirit reminded him of his wife, and he decided it would be best to let Kin stay with him for a bit, then think more about the adoption thing before coming to a final decision. In the end, Kin found herself an official member of the Kazato family only two weeks after meeting Atsushi. Once she started eating properly and was able to sleep on a proper bed, her strength started returning, and she'd put it to use by helping the old man with household work his old muscles and frail bones couldn't do. He taught her how to duel, giving her his wife's old deck, and they'd occasionally enter small-scale tag tournaments as a team. It was a humble life with Atsushi, and for the first time since she was an innocent and oblivious child, she was truly happy with her lot in life. Atsushi didn't just let others walk all over him or hide behind some fake life. He was kind, humble, and...very old. He died of old age three years after adopting Kin. It wasn't a particuarly heart-wrenching parting on Kin's part; it had been painful to watch age claim Atsushi's health and memories, and believed he'd be happy to finally see his wife again. Kin even likes to think he tells her about how Kin reminded him of the late Mrs. Kazato, just like he had with Kin herself. However, although his life insurance and his beefy savings meant Kin would be set for years at least, something was amiss. Eventually, she realized just what it was. Tournaments. Around the time Atsushi's senility started kicking in, the two stopped attending them, and now that she was no longer worrying about the old man, she realized she hadn't been to one in at least a year. Even more curious, Kin found a card she had never seen before on her way home from the funeral. Her interest piqued, Kin's working out what she wants to do in the long run, but right now is trying to take things one step at a time. This monster's original ATK and DEF are equal to the difference between your and your opponent's Life Points. Once per turn, you can detach 1 Xyz Material from this card to Tribute 1 monster you control: Increase your Life Points by the ATK or DEF (whichever is greater) of the Tributed monster. Once per turn, you can place one Candle Counter on this card. Once per turn, during either player's turn, if a Monster Card is sent to the Graveyard: You can place 1 Candle Counter on this card. During each Standby Phase, increase your Life Points by 200 times the number of Candle Counters on this card. When your opponent Special Summons a monster, increase your Life Points by its combined ATK and DEF. Increase its ATK by 1000. Decrease its ATK by 1000. 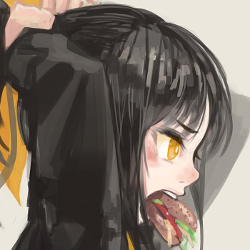 Her favorite food is hamburgers. She could eat fifty in a day and still have room for more. "If it's edible, she'll eat it" isn't entirely true. Kin doesn't like bananas. Any other food is fair game. Refurnished Atsushi's old room into a small personal gym after he passed. She spends a lot of time there, especially if she's stressed. Ambient horror has virtually no effect on her, but jumpscares get her pretty good. It means you have to attack burning heart, because if you read my first duel post, I say that I use a monster effect to bring burning heart back to the field. Hey, 0PxPz0. If you wouldn't mind making a post, so that we can get our plotline moving along, that'd be really nice.